Teeth are not only a tool, which we need for chewing food. It is also our pride, or even our hallmark. Let’s check what their structure is and what they consist of. The tooth consists of the crown and the root. Under normal conditions, only the crowns of the teeth should be visible in the oral cavity. The root is located in the dental alveolus and covered with the gingiva. 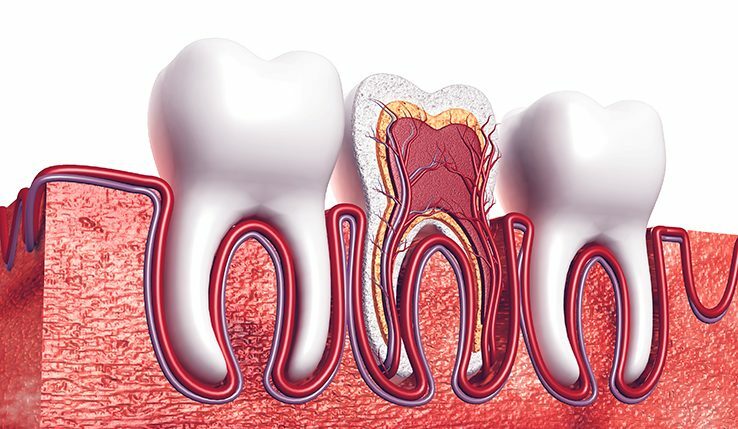 Inside of the tooth crown, there is a space called a pulp chamber, which contains soft dental pulp with its innervations and blood supply. In the whole tooth, there is also the neck, which is a place, where the enamel of the tooth crown adjoins the root cementum. Hard tissues of the tooth includes: the enamel, the dentine and the root cementum. In a healthy tooth, only the most external layer of the crown, i.e., enamel, is visible. This is the hardest tissue in our body. The enamel contains inorganic compounds (96%) as well as water and organic compounds (4%). The dentine, which is softer and more vulnerable tissue, is located under the enamel. As much as 70 percent of this tissue is built of inorganic compounds. 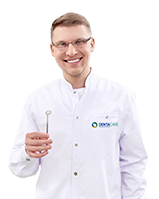 The dentine protects the dental pulp against adverse external factors such as temperature, chemical compounds or bacteria. In the dentinal tubules, the nerve fibers are located, which are responsible for conducting pain stimuli cause by, i.a. : pH of the environment (sweet and sour) and high or low temperature of the food and beverages. If the tooth is damaged, e.g., due to caries, the enamel layer is destroyed and the dentinal tubules become opened. 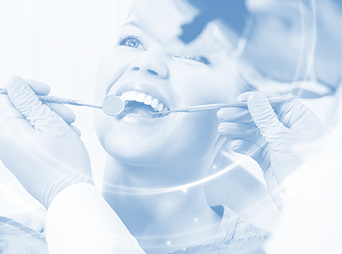 It is an extreme discomfort; therefore, regular oral hygiene is so important. The dental pulp is the most internal part of the tooth. It fills the pulp chamber and the root canals. It contains the nerves and blood vessels. The dental pulp is responsible for nutrition of the tooth and collection of the sensory effects and pain. The nerves and the blood vessels enter the tooth through the apical foramen. In case of untreated, deep caries, bacteria may also exit the tooth through this foramen, and they may cause serious inflammatory complications in the tissues surrounding the tooth (the periodontium and the bone).